The Italian American Democratic Leadership Council (IADLC) is hosting a reception honoring the re-election of President Obama and Vice President Biden as well as all 16 Italian American Democratic Members of Congress that were re-elected along with 3 new Italian American Democrats. It will be Sunday, January 20th from 4:30 – 6:00 PM at the Carmine’s Restaurant (425 7th Street NW — Penn Quarter). The IADLC has hosted this reception for both President Clinton’s and Obama’s Inaugurations. Jim Messina, Obama/Biden Campaign Manager, will attend and be awarded the Italian American Democrat of the Year for his leadership and successful re-election strategy. Jim Messina (Obama/Biden Campaign Manager), Congressman George Miller, Congresswoman Suzanne Bonamici, Hon. 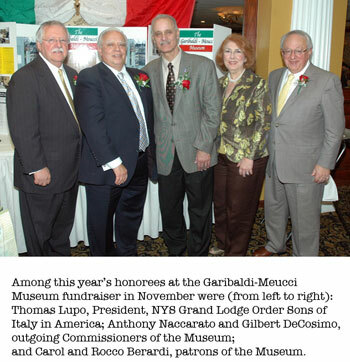 Jim Oberstar, Senator Lou Gentile (OH), Wisconsin House Leader Peter Barca, Mayor Virg Bernero (Lansing, MI), Mayor Joseph DeStefano (Middletown, NY), and Lapo Pistelli (Member of Italian parliament and foreign policy spokesman of Democratic Party of Italy) and many other Italian Americans are planning to attend. Carmine’s Restaurant is located at 425 7th Street NW in Washington DC. The event is open to the public. If you would like to RSVP please contact Ally Glavas atiademocrats@gmail.com or 202-466-1651. For almost twenty years, The Italian American Democratic Leadership Council has been the national voice of Italian Americans in our party — the national political action committee supporting our candidates for Congress and major statewide offices, reaching out to Italian American voters for our presidential candidates, and promoting the appointment of Italian Americans at the national level. 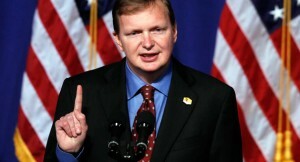 For more information about IADLC, visit www.italianamericandemocrats.net.